We see individual, couples, and families. Our systems approach incorporates support and education for family members of a loved one who is in treatment. We understand that someone’s experiences significantly impact relationships, which includes the family members. Our training allows us to help you to work on forming healthy attachment relationships with your family members. Many times, we need to have the family in sessions in order to help the person the most, or the family members also need some information, therapy, or support of their own. Our teen group includes parent group sessions. We are offering the following groups at our beautiful 50 acre Collierville facility. 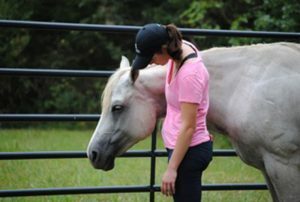 We combine psychoeducation, processing and equine assisted psychotherapy into each unique group. CONNECTIONS- our original group- integrating Brene Brown curriculum with Equine Assisted Psychotherapy- focusing on shame resilience, vulnerability, and making connection. This runs both as a 5 day intensive and as a 12 week group. 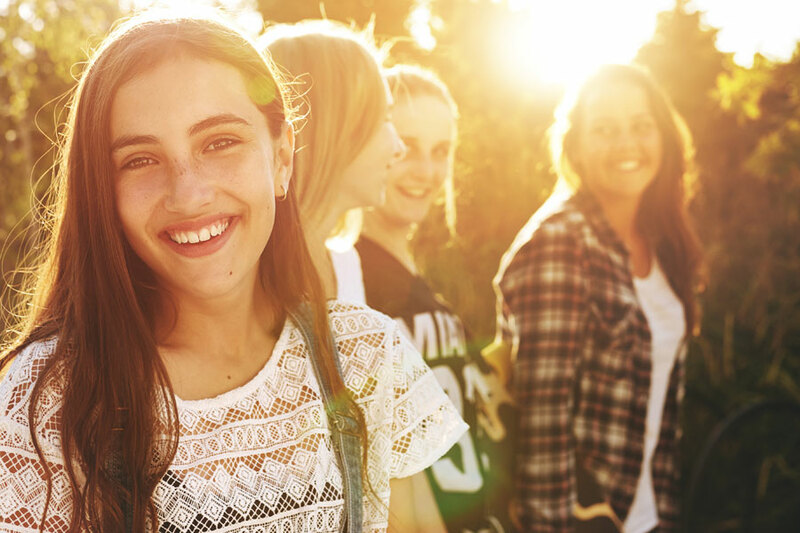 NOT ALONE – a group for those suffering with teenage anxiety and depression, including self harm. Ages 15-18 most typical. This is an ongoing group, and it is not unusual to have some of the same members long term. 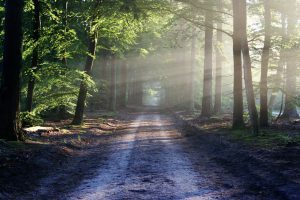 INTEGRATION – a group for those suffering with an eating disorder, an unhealthy relationship with food or body image issues. Collaboration with nutrition experts is an essential part of treatment, so we work to connect you with the best if you don’t already have someone. Adolescent/teen and adult groups are separate in most cases. FRESH START – a group for parents/ caregivers and children who need to address attachment issues/adoption/foster care. Parents do work in this setting apart from and with their children in this group. HORSES HEALING HELPERS – groups for health care professionals, therapists, and first responders. You can schedule an intensive for your coworkers, peers or employees or join a group. HORSES HEALING HEROES – group for service men and woman. We also offer support for family members as well. 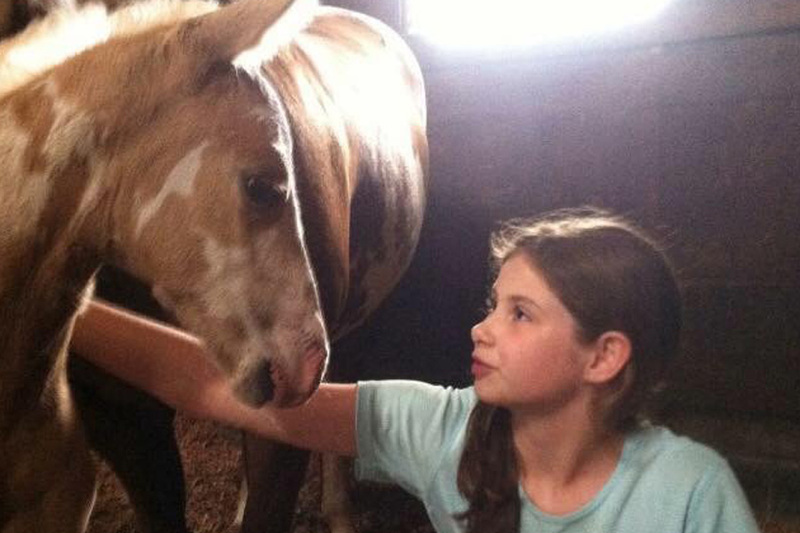 We utilize TF-EAP (trauma focused equine assisted psychotherapy) most often with our patients. This may be mounted (riding) or ground (no riding) work, depending on the needs of the patient. Our program is a trauma informed model that utilizes our knowledge of neuroscience and the effects of trauma and chronic stress on the brain, body, relationships, and our ability to regulate. The work helps to reorganize the brain and reintegrate the connection between the brain and body. Learning in the context of a relationship with a horse allows the development of a secure connected attachment with another. Some people do EAP as an adjunct to office therapy, and some do it exclusively. To learn more, visit Natural Lifemanship or EAGALA. 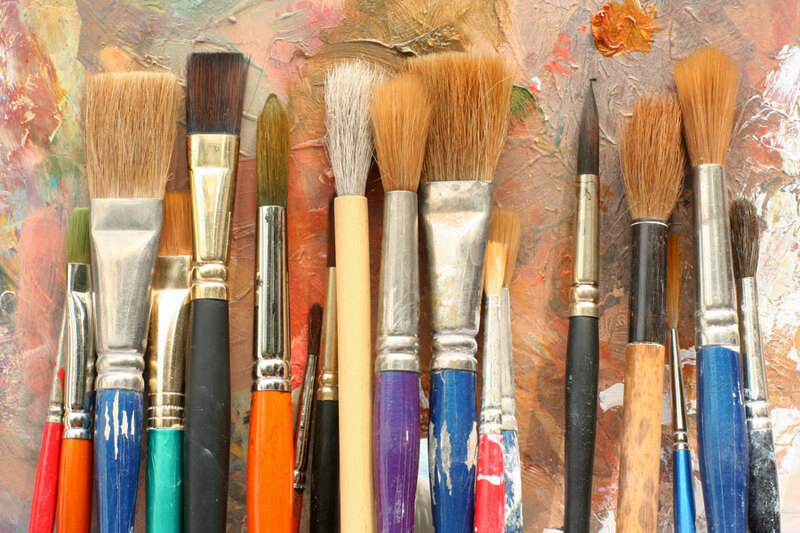 Paige Scheinberg is a certified art therapist who collaborates with Connections. She runs the Teen Girls’ group once monthly and also participates in the workshops. Paige brings the experiential element of art therapy into the office, where people can process in a completely different way. Connections Counseling will be participating in the NEDA Walk annually! Connections is proud to work with those struggling and in recovery from eating disorders. We would be honored to have you join our team and show support to those who wish to achieve and maintain RECOVERY! Connections Counseling has hosted Natural Lifemanship trainings at our facility. Stay tuned for future training dates or visit Natural Lifemanship’s website. Britt is certified in EMDR and uses it with many patients, (most often in the office, however, we can also do this with the equine assisted psychotherapy). Eye Movement Desensitization and Reprocessing (EMDR) therapy is an integrative psychotherapy approach that has been extensively researched and proven effective for the treatment of trauma, however, it can be used more broadly. “EMDR is a set of standardized protocols that incorporates elements from many different treatment approaches. It can be used for panic attacks, complicated grief, dissociative disorder, disturbing memories, phobias, pain disorders, performance anxiety,stress reduction, addictions, sexual and/or physical abuse, body dysmorphic disorders, eating disorders, and personality disorders (emdria.org). To become certified in EMDR, a person must attend trainings, complete a certain number of EMDR sessions, complete continuing education classes, and complete consultation hours with an approved consultant. Many people are trained in EMDR, but not everyone completes certification. What this means for you, is that a certified clinician has more extensive training and knowledge in order to help. To learn more, visit emdria.